Learn how to achieve your health and wellness goals for a happier you! Keep yourself safe on the job by studying the different forms of workplace violence, including physical assaults and bullying, and learning how to prevent them from happening to you. Stay safe! Explore ethical principles to help you care for yourself and your patients when dealing with topics such as caring for terminally ill children, the Code of Ethics and genetic testing kits. Don't miss our next digital edition! 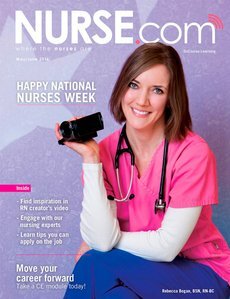 Interested in advertising in our next Nurse.com Digital Edition? 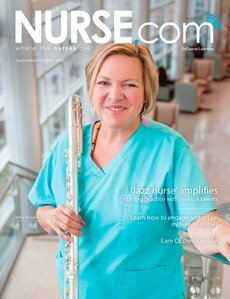 We celebrate nurses with this special issue! Inside you will learn how Florence Nightingale's impact still resonates with the world today and can even download two of her original letters. 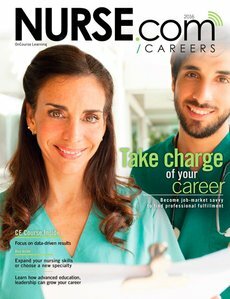 Find out how your nursing salaries rank, learn how to decide if it's time to change jobs and get nursing career tips to get the nursing job you want. 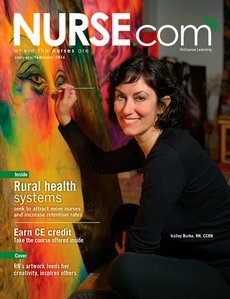 Learn what influences pay rates for RNs across the nation, including regional market distinctions and culture. Plus, find out how cost of living can make a big impact on wages. Learn how to be strategic when selecting a BSN, master's or doctorate nursing degree program. 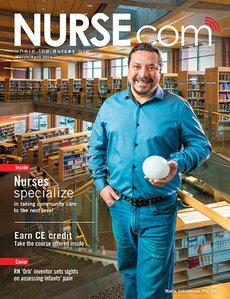 Plus, read helpful tips to reduce your student loan debt and determine if the cost of your nursing education will pay off. 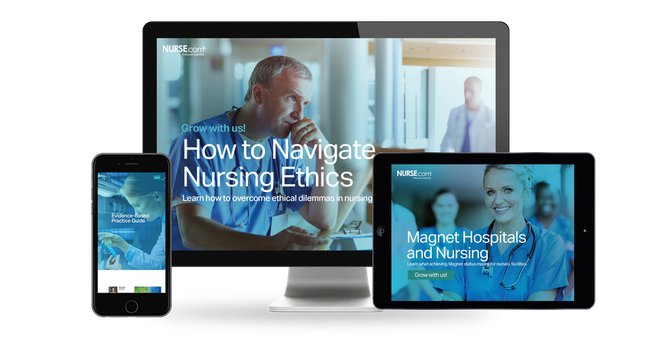 Discover why hospitals seek Magnet designation and how accreditation benefits nurses and patients. The designation has pros and cons, but research reveals it improves patient outcomes and care. Discover how a more diverse nursing workforce can boost culturally competent care. 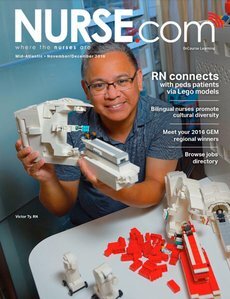 Plus, hear how nursing organizations that are making it their mission to promote ethnic and cultural diversity, while also championing unity and inclusion. 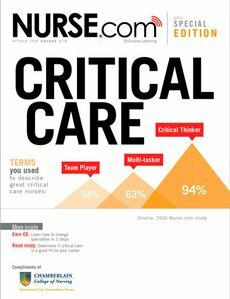 Critical care nursing is a specialty that does not run short on challenges! 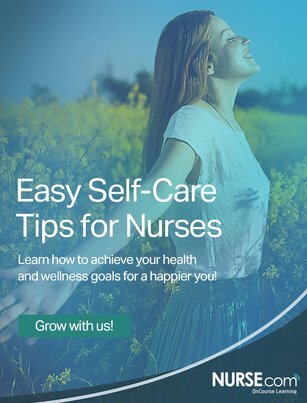 Find out how these nurses handle tough topics like pain management, moral distress, alarm fatigue and more. Interested in creating and implementing EBP on your unit? Curious about why evidence-based practice is so important to your practice and your patients? 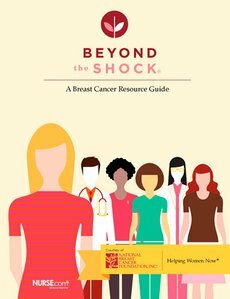 Find the answers inside this guide. 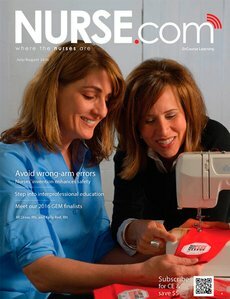 Med-surg nursing is a training ground for some nurses and a lifelong professional home for other nurses. Discover what makes this specialty challenging, yet stimulating. Ensure you can identify drug-seeking behavior without overlooking those in pain. 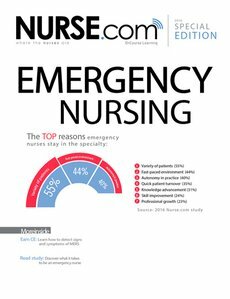 Also, explore how a shortage of sexual assault nurse examiners affects patient care, how to handle interruptions with ease, and much more in this edition. Nurses constantly focus on others, but you can’t do this effectively if you do not also take good care of yourself. Find tips on nutrition, exercise, picking the right nursing shoes, sleep and more. 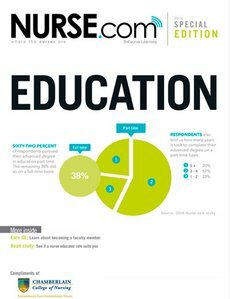 The more you know about nursing continuing education, the more successful you will become throughout your career. Learn about CE requirements, certifications, tips and more. Find out how our partner, The DAISY Foundation, is reaching across the globe to honor extraordinary nurses. The DAISY Award® program has honored thousands of nurses in 19 countries! Read how the foundation supports nursing research. 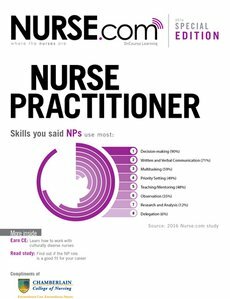 Nurses' communication styles can vary from generation to generation, but they can all mesh together to create a harmonious multigenerational workforce. 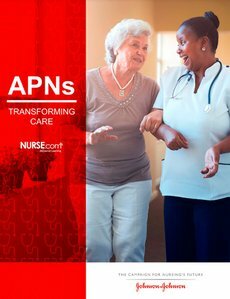 Find out how to successfully collaborate with nurses of any age. Don't miss our next edition! 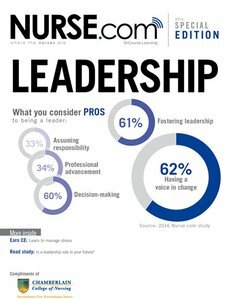 Get free tips and nursing content delivered right to your inbox.